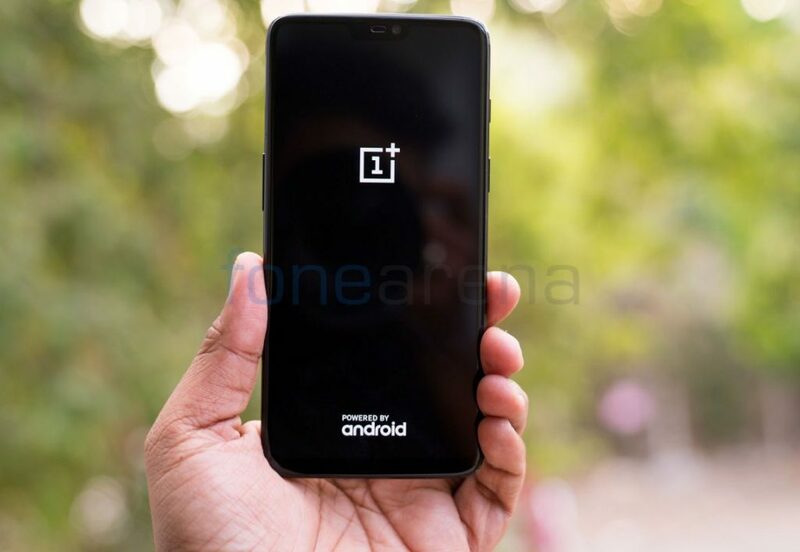 Over the past few years, OnePlus in India has established itself as customers’ delight, as the company’s vision of selling power-packed smartphones at unbelievable pricing struck the right chord. Having said that, the transition from a humble startup into a flourishing brand at present comes through years of hard work. This upstart has already mastered the art of putting out quality devices on a consistent basis, be it OnePlus 3/3T, 5/5T or the latest OnePlus 6. Unlike big smartphone makers, OnePlus rather opted an unconventional way where they relied on the feedback of its large fan base in developing products. Since the launch of its first device in India, OnePlus had a native feel with an impressive build, clean software, and a swift performance. In addition to that, most of the people looked out for a sophistication and value for money in their devices, which the OnePlus directly addressed. Have you ever thought how OnePlus remains at the top albeit they work on only one phone at a time? It’s because a great product would sell itself and doesn’t need too much marketing. This relentless pursuit of excellence and perfection has made the latest OnePlus 6 as the must-have phone for tech lads and millennials. Amid a lot of competitions in the smartphone market, the success of OnePlus boils down to few factors. 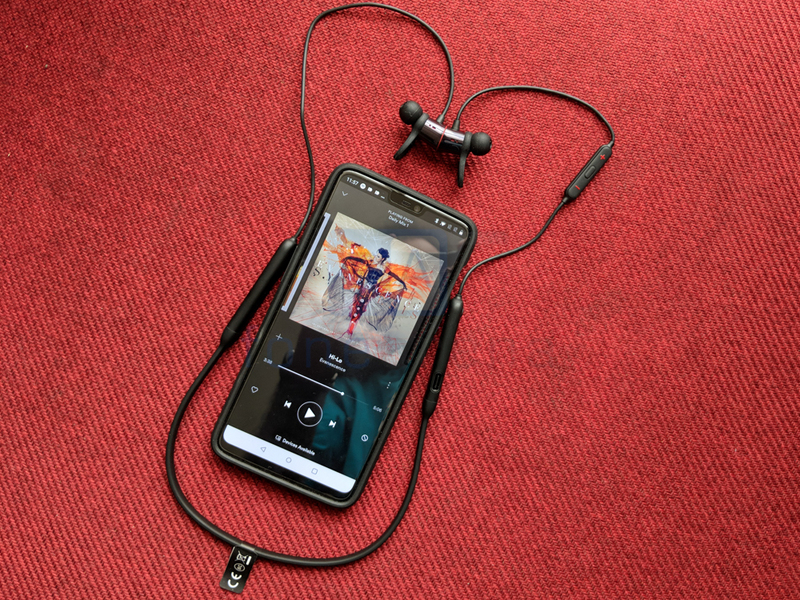 Taking the smartphone out of the equation, OnePlus’ approach towards customers, the time invested in listening to fan’s feedback and relying mostly on the WOM (Word of Mouth) is what made OnePlus an amazing brand in the Indian market. What makes the OnePlus device special and successful in India? Implementation of the latest technologies, faster Android/security updates and a clean operating system with high developer support. OnePlus also concentrates on one phone at a time, which gives them enough time to build a flagship after hundreds of prototypes. The company recently announced Software Maintenance Schedule for its smartphones, in which the company has promised security updates even for the two-year old OnePlus 3 till November 2019, which other OEMs don’t offer. As per the latest Counterpoint research analysis, the premium smartphone segment in India (>Rs. 30,000) grew 19% annually and 10% sequentially during Q2 2018. Having said that, the major contribution comes from the OnePlus and surpassed Samsung to lead the premium smartphone segment for the first time ever for a full quarter. Thanks to the mighty OnePlus 6! Still, India remains an important market for OnePlus, contributing to almost a third of its global revenue. The top three brands Samsung, OnePlus and Apple contributed to 88% of the overall premium market as compared to 95% a quarter ago. 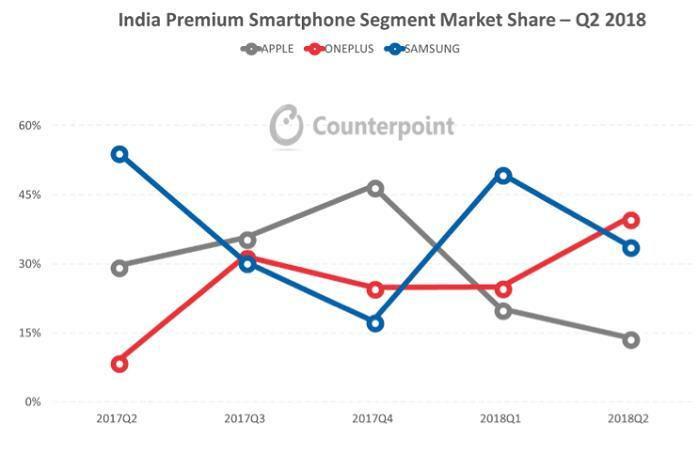 Also, OnePlus leads the premium smartphone segment for the first time ever in India, capturing 40% of the market driven by record shipments of its OnePlus 6 as compared to its previous flagships.